Being able to ride even when the weather is bad is a crucial part of living your passion for the open road. 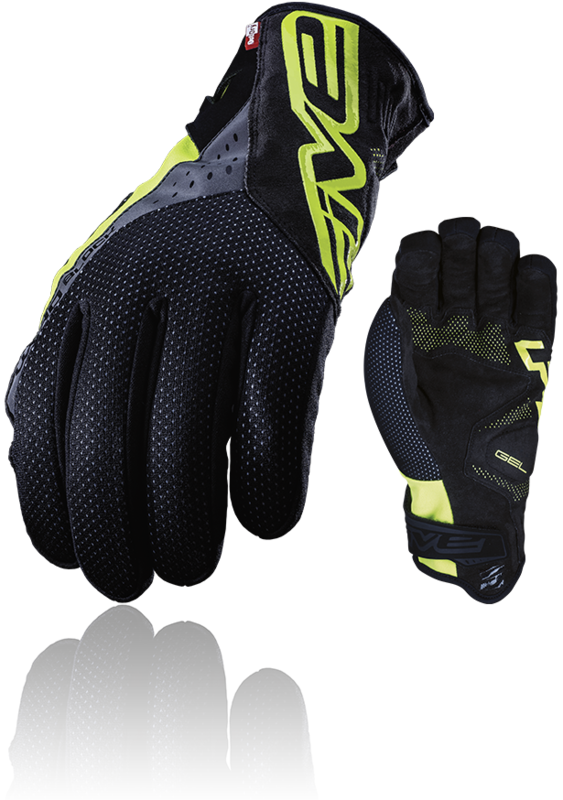 Now you can get out there and brave the elements, because FIVE has used all its experience in terms of extreme conditions (cold, rain, high speed) on motorcycles to design the ultimate winter road cycling glove. 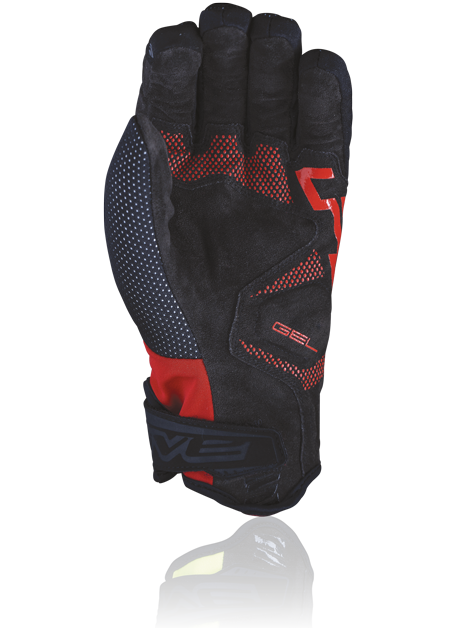 Featuring a waterproof OutDry® membrane laminated directly on its outer surface, it stops water from getting inside and soaking into the internal layers of the glove, while allowing complete sweat dispersion. That’s the story in terms of waterproofing. As for thermal insulation, it’s covered by a Thinsulate™ 80g lining that provides enough insulation to limit the effect of low temperatures, while remaining thin enough to allow you freedom of movement. 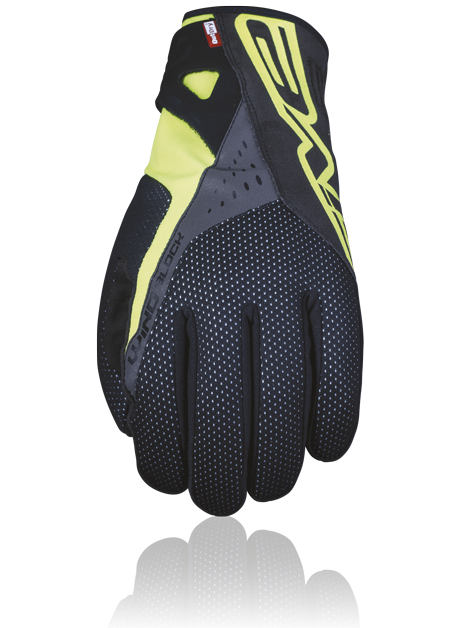 Comfort is optimized with the use, in zones that are in direct contact with the skin, of an internal Bemberg™ lining. Weatherproofing begins right from its topside construction, made from Windblock™ windproof fabric. We haven’t forgotten nighttime visibility, either, with a black, reflective panel (discreet in the daytime, visible at night). Protecting yourself from bad weather is important, but protection from blisters, or even from a bad fall, is just as essential. 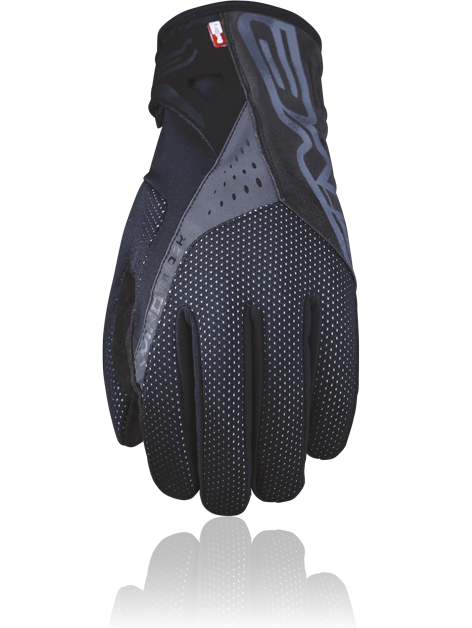 And so, the palm of these gloves features multiple 2 mm gel panels hidden under 3 mm memory foam, placed in strategic zones where your hands touch the handlebars…or the ground. 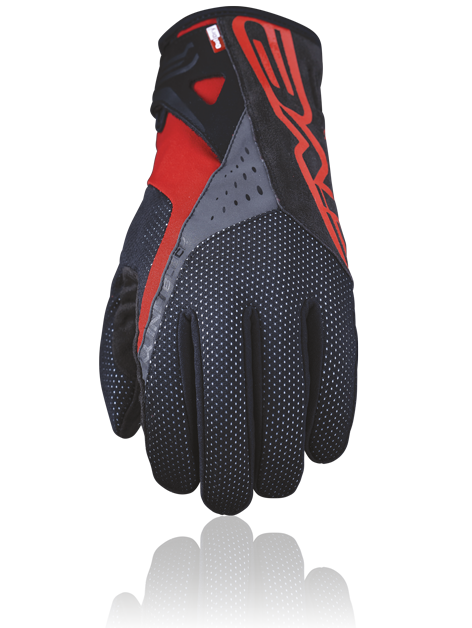 The fourchettes (or finger contours) are made from Windblock 5™ fabric, a wind-blocker that is thinner than the Windblock 10™ on the topside, for optimal fit. 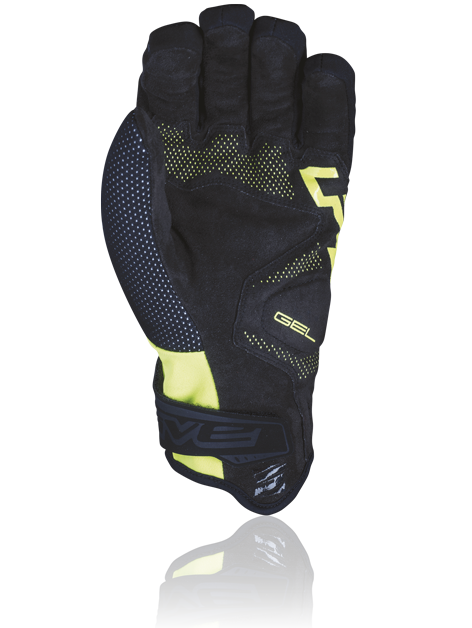 Closure and support are provided by an adjustment tab in PU Flock and Velcro. A pull tab integrated into the structure of the cuff makes for easier on-off. And last, but not least, if you use a waterproof device, a GPS or smartphone, you can use your touchscreen with the Conductive fabric on the tip of the index finger. A truly practical touch to help you finalize your route, even when it’s raining. 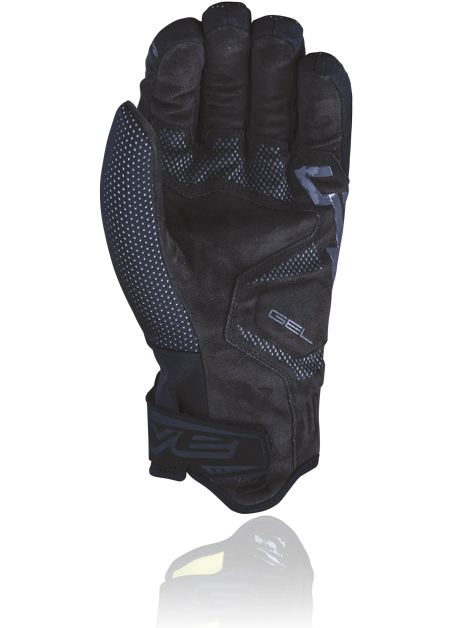 The RC-W1: Winter is no longer an obstacle to living your cycling dreams.